Last night I finally paid a visit to my Google Reader account after weeks of negligence (and thousands of posts to read! 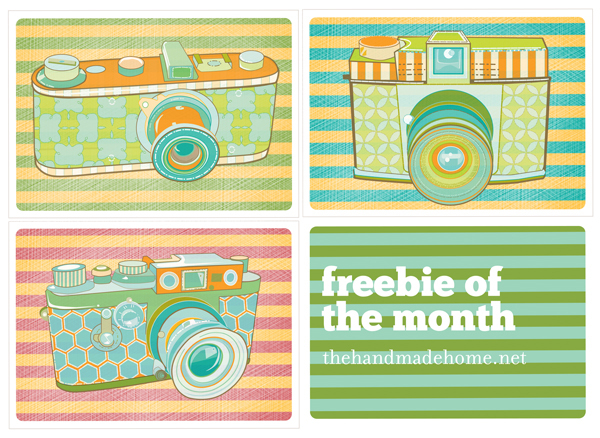 ), when I came across these super cute free vintage camera printable by The Handmade Home (I saw them via Creature Comforts). Wouldn't they be a great thing to frame and brighten up any room in the house? I'm thinking I'll print them out and hang them above my actual vintage camera collection...what about you? Where will you put yours? those are great Beth! how would I go about printing them if I didn't want to print them at home? I would download the files to your computer and put them onto an external hard drive/memory stick. Then you can print them wherever you want!